Happy New Year. I hope this finds everyone in good health ready to kick-start the Grange in 2016. While I always encourage you to visit other Granges, I would like to suggest that before you go out this winter, you call and make sure the Grange is meeting. As our membership gets older, we tend to cancel more meetings. For a lot of us, 35, 40 or 50 years ago it was an adventure to go out in a storm. Now, it can be a safety concern. When you can’t get out, you can still do your part for the Grange. Why not write a letter to a soldier serving anywhere in harms’ way. A good place to start would be a letter to a service man or woman serving in Afghanistan. Don’t have an address? No problem. You can go on line to any soldier.com or you can send the letters to me. Letters that I get are sent to Chaplains or their Assistants who see that they get distributed to personnel who don’t get mail from home. It is amazing how many there are serving who never get a letter or a box of goodies from home. 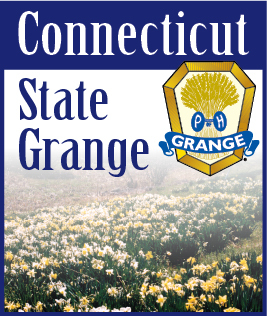 If your Grange has never done this before, wouldn’t it be great if you could be the one to start a new project and get recognized for it at State Session. This project comes under the Lecturers’ Department but you do not have to be a Lecturer to participate. Has your Grange received an invitation to a Neighbor’s Night recently. It would be nice if we could all get out and visit other Granges. Not only will you have a good time and renew acquaintances with old friends but you will help the other Grange out. And please be sure and answer these invitations whether or not anyone from your Grange plans to attend. Granges are noted for the good food they serve and they really need to know how many visitors are coming. Have a safe winter. I can’t help but think that we are going to pay in January and February for the good weather we have had in November and December.